South Korea. 567 athletes from 49 countries competed in these Games. Alpine skiing, biathlon, cross-country skiing, wheelchair curling, snowboard, and para ice hockey were the six sports at these Games. You can see the medal standings here. 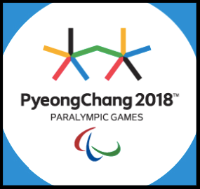 The Winter Paralympics are held just after the Winter Olympic Games, and are a tournament for athletes with disabilities. The rhinoceros named Sudan died on March 19 at the age of 45 because of health problems. He was the last surviving male of the the northern white rhino subspecies. 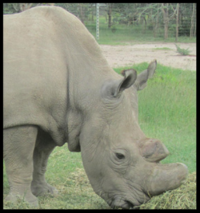 Sudan lived at the Ol Pejeta Conservancy in Kenya. There are only two rhinos left of this subspecies, and they are Sudan’s daughter and granddaughter. He was often referred to as “The Last Male Standing” and “The Most Eligible Bachelor”. St. Patrick’s Day was celebrated on March 17th. This was originally a religious Irish holiday but is celebrated all over the world now. A tradition is to wear something green. 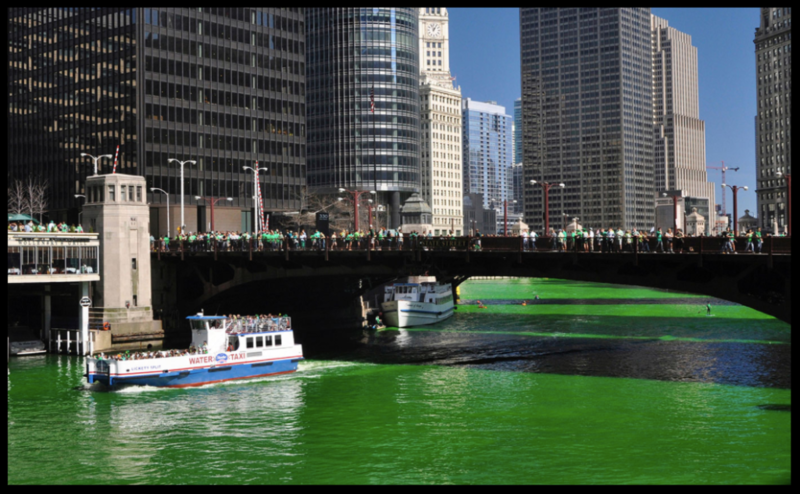 For over 40 years now, the Chicago River in Chicago, USA has been dyed green as part of St. Patrick’s Day celebrations. Finland is ranked as the world’s happiest nation by the United Nation’s World Happiness Report. The report ranked 156 countries by their happiness levels. Finland was followed by Norway, Denmark, Iceland, and Switzerland. 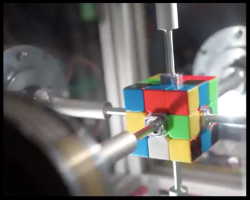 Two students at the Massachusetts Institute of Technology (MIT) in the United States have developed a robot that can solve a Rubik’s Cube in 0.38 seconds. That’s a new world record. The previous record was set by a robot in 2016 with 0.637 seconds. Ernõ Rubik, a Hungarian professor, invented the Rubik’s Cube in 1974 to help his students understand three-dimensional problems. A video of moms and kids singing to Christina Perri’s ”A Thousand Years” has gone viral. It was made in support of World Down Syndrome Day (WDSD) which was on March 21. WDSD is a global awareness day to understand what Down syndrome is and what it means to have Down syndrome. There is also a reason why the day is celebrated on March 21. Down syndrome is caused by the triplication of the 21st chromosome. Here are 3 videos – the first of “A Thousand Years”, the second shows the robot solving the Rubik’s Cube, and the third is about the Winter Paralympic Games.